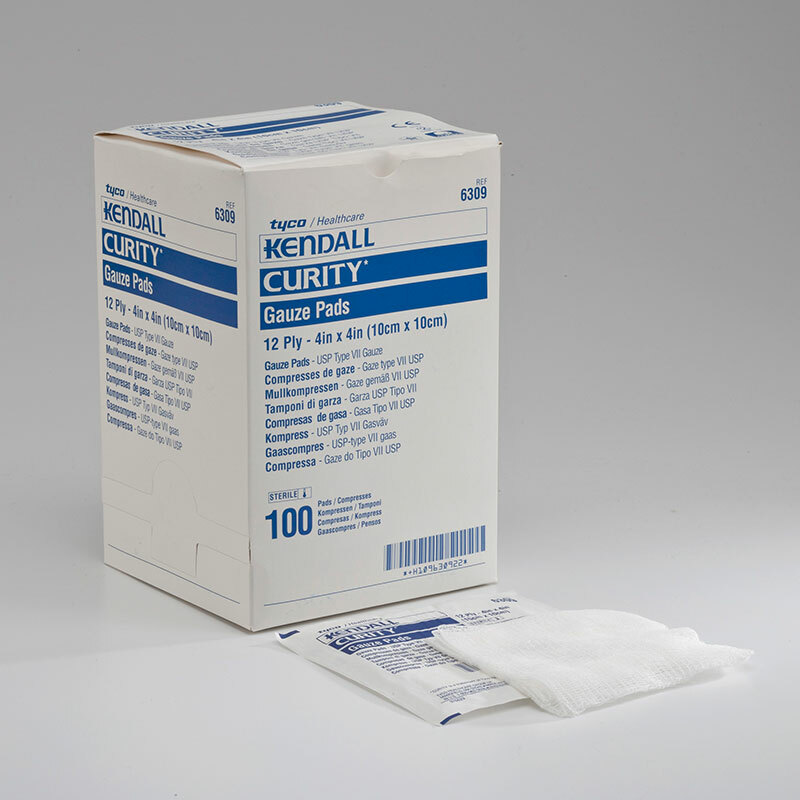 A practical addition to any first aid kit or collection of basic wound care supplies, these Covidien Curity 12-Ply Sterile Gauze Pads are ideal for treating a variety of exuding wounds. A thick 12-ply design allows each gauze sponge to absorb a large amount of fluid before it requires changing. The classic white color makes it easy to monitor the amount of fluid being lifted and to verify when it is time to apply a new wound dressing. Each pad is easily secured using an adhesive wound dressing or tape to keep it in place for longer periods. The gauze pads are made by Covidien, a leading manufacturer of medical supplies for wound care. Each perforated box contains 100 square-shaped sterile gauze pads measuring 4" x 4".